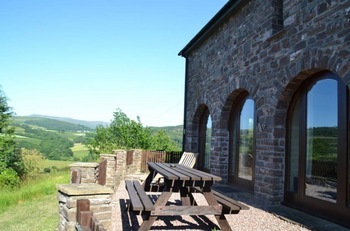 The Arches is self contained accommodation located in a peaceful elevated position, a scenic 5 minute walk to the village of Talybont-on-Usk, within the Brecon Beacons National Park. It is a fabulous place to relax and simply enjoy the amazing surrounding scenery but it is also fantastically located for the more active visitor as there are numerous walking trails and mountain biking routes right on the doorstep. 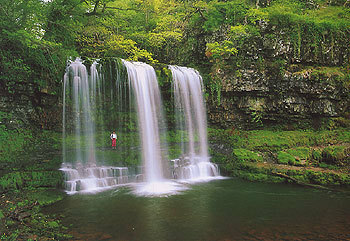 Great base for climbing the Brecon Beacons and for exploring the waterfalls 'as shown in the BBC programme 'Secret Britain'. We are dog friendly too so bring your dog and enjoy a holiday together. The property is called 'The Arches' as the bedrooms are located under the arches in the lower ground floor of Baileys Barn. 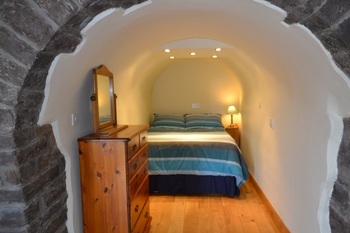 It is ideal for couples, families or small groups as it sleeps up to 6 people. The Arches/Bedrooms are open plan to the living area which has 2 arched windows and 1 arched doorway opening onto a patio area which has magnificent views over the countryside. In the living area there is a leather recliner sofa, recliner chair and chaise longue. This area also contains a dining table and chairs, and a small kitchen area that includes an oven, 2 ringed hob, fridge, microwave, kettle and tea and coffee making facilities plus a sink and slimline dishwasher. There is an en-suite bathroom with Jacuzzi bath and shower, 2 sinks and a W.C. Included is a TV with Freesat and Free WiFi. The Arches is part of Bailey's Barn but is self contained and has its own entrance so guests have their own privacy and own key so they can come and go as they like. 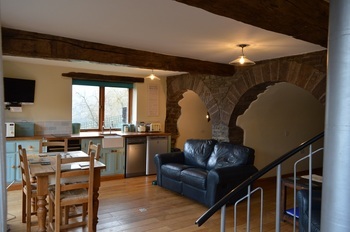 The room has stone arches, oak beams and oak floor so it is homely and has plenty of character. 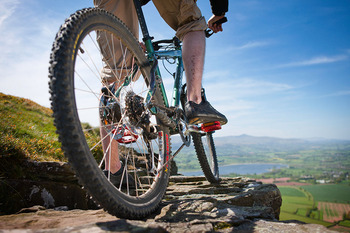 There is a spiral staircase leading to a landing area where there is a wealth of information on the Brecon Beacons National Park and surrounding areas including maps, local attraction and activity leaflets including mountain biking routes and walking information. The Arches is not overlooked and has a great patio area with patio table and chairs. From its elevated position there is the opportunity to spot amazing wildlife such as Red Kites, Buzzards and Herons. Outside a sunbed is also provided for relaxing and having a sneaky siesta plus there is a storage facility for bikes and a hosepipe for washing them down. It is just a 5 minute walk away from the Brecon and Monmouth canal and the village of Talybont-On-Usk. It is a short distance from the Taff Trail and Brinore Tram Road which are great walking and mountain bike routes and close to the Beacons Way and Usk Valley walks. It is situated within walking distance of the beautiful Talybont reservoir and just a short drive from Talybont Waterfalls, the Neuadd reservoir, Pontsticill reservoir and the Brecon Mountain railway, which are all within the Brecon Beacons National park. The river Usk which flows through Talybont is a great location for Canoeists and the river Wye is just a short drive away. The Brecon Beacons National Park has been granted International Dark Sky Reserve status, making it a magnificent location for star gazing. The village of Talybont-On-Usk has 3 pubs (The White Hart, The Star & The Usk Inn), 1 restaurant (The Travellers Rest), plus Talybont Stores which is a shop, café and post office. There are farmers markets in local villages and towns nearby where you can buy excellent food produce, such as local cheeses. 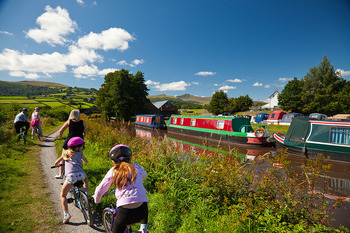 The bustling town of Brecon is 5 miles away and Crickhowell and Abergavenny are just slightly further. Cardiff, Newport, Swansea and The Gower with it's fabulous beaches, are all only an hour's drive away. Included in the price is Cereals, Tea, Instant coffee, milk, and if available fresh eggs from our own chickens. We are dog friendly so well behaved dogs are welcome, but please bring your own dog bedding. £25 for each additional adult or child inc DIY breakfast. 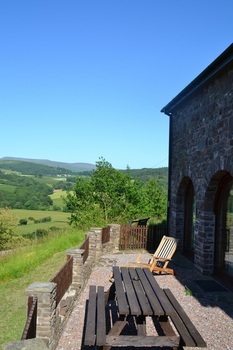 Come and experience this charming accommodation in an amazing location, great for relaxing or being as active as you wish, located within the Brecon Beacons National Park. Close to the Brecon & Monmouth Canal and The Taff Trail. 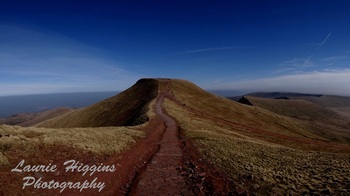 Great base for mountain biking, climbing the highest mountain in the South of Britain - Pen y Fan, or visiting the waterfalls. Ideal for couples, families or small groups and we are dog friendly too.